Designing your home - your “castle” - is for many a once in a lifetime venture. You can only do this once and as a major investment, you will want to do it well. Remember your “ABC’s”; Architect Before Contractor. Contractors are great at what they do, however, they cannot do what an educated, licensed, experienced architect can do for you. Skipping the architect is tantamount to skipping the X-ray before surgery - likely painful and quite costly. A good architect - especially one who provides ROI (return on investment) design, will save you more than what you invest in professional fees. We have designed custom homes from modest budgets to high end budgets, additions and remodeling projects for everything from remodeling manufactured housing to additions to historically significant homes. How is Hrivnak Associates different? We have staff who have differing passions from historic to contemporary architecture. We are inclusive - your entire family is involved and you are an active participant in the design process. We include early input from contractors, engineers and interior designers as appropriate. We also provide a guarantee with our services. Ask about our residential design service guarantee. You are about to embark on what can be an exciting adventure toward a home you will love so much it feels like being on vacation - or a loose process that could mean peril for your wallet and your patience. Hrivnak Associates will be your trusted advisor throughout. Hrivnak Associates is also a member of the prestigious international organization, Architects Creating Homes. https://www.archomes.org/ for more information. John Hrivnak is on the Board of Advisors for this organization. 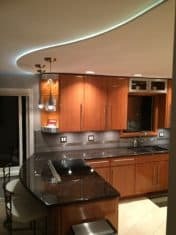 We have won design awards from our peers, but the greatest award for us is seeing the joy of our clients when they move into a home or a remodel that they have helped design.